Radio Advertising Bureau's "Matter of Fact" newsletter shared ABX research on how radio may deliver the best ROI and ROAS of all with some smart creative! Examples are from Red Lobster, Discover, McDonald's and Home Depot. If you're interested in creative effectiveness across all types of media, see our "Integrated Marketing in Every Channel" resources page. Thanks to the creative testing of more than 100,000 ads across all media by ABX Advertising Benchmark Index, we can now see the true strength of radio. 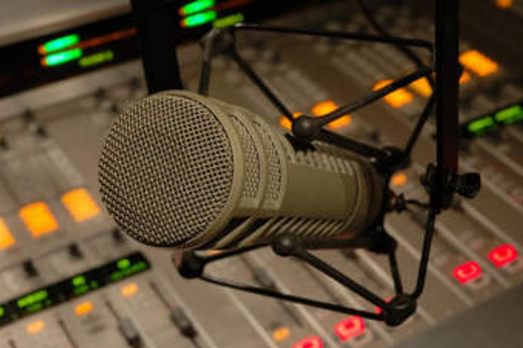 There is great news about how radio performs in comparison to other media. Among high performing ads with quality creative, radio is every bit as effective as other media. There is no significant difference between radio’s creative impact and that of television, digital, print, outdoor, FSI’s and the like. Given the low cost of production and lower CPMs, radio with quality creative will generate a higher ROI than these other mediums. The key, of course, is the quality of the creative - a factor in every type of media. And, to determine whether or not your creative is good usually requires copy testing. Unfortunately, of the 500,000+ new creative examples put into the marketplace each year, less than 1% have been copy tested due to the high cost of research firm legacy testing methodologies. Consequently, only television gets tested regularly, and the creative teams who work on radio and other mediums rarely receive the feedback they need to optimize their work. But, this is changing as new evaluation methodologies hit the market like ABX, a syndicated advertising evaluation service that measures every television, magazine, newspaper, Internet, radio, and out-of-home ad based on 14 KPIs. ABX has benchmarked more than 100,000 ads using a projectable consumer Internet panel, and has been able to develop norms for all media and industry categories. Awareness - Have you generated sufficient attention and memorability to make the consumer know which brand is being advertised? Messaging - Is there a clear benefit being described in the ad, and has the messaging been stated in an easy to understand fashion? Reputation - Did you feel better about the advertiser after seeing/hearing the ad? Call-to-Action - Since we are hoping to change a person’s attitude toward our brand, and ideally get them to do something as a result of our investment, ads that do not generate some intent to modify or change behavior cannot be considered successful. By focusing on these four characteristics of high-scoring ads, creative teams can achieve highly successful ads in radio at significantly lower price points than other media. One KPI that may seem to be missing is “Likability.” Amazingly, Likability is not among the most important KPIs for any form of advertising. It’s nice to have a likable ad, but likability is not predictive of positive advertising impact and correlates poorly with the KPIs that are predictive of success. Clarity is King. Many of the best-scoring ads had no background music or effects; just really effective voice talent. Compelling messages, ideally with expiration dates. Focus on the listener, not what you are selling. Avoid celebrity talent unless you’re sure you can get a good read out of them. This clear, background-music free spot (23% above average) focuses on its Lobster Fest message with a major contest giveaway for a family of four. It also refers to a coinciding religious holiday (Lent), which may account for the high Reputation score (139). The strong announcer makes the advertiser identity and message clear. This is one of the strongest spots in the ABX database for 2015. This ad demonstrates a very high-scoring Reputation (63% above average) due to the message that Discover is helping its customers freeze their accounts if they lose their smartphones. This demonstrates concern for the customer and does not request additional spend. Again, this spot has no background music or effects, leaving the listener free to concentrate on the message. Well done, Discover. At an ABX Index of 117 overall (17% above average), this spot uses subtle humor and a change in music to stimulate Awareness and Message. While most spots with background music are often unintelligible, this one is well-mixed. Subject matter undoubtedly contributes to the high Action score (32% above average), which the announcer describes with great enthusiasm.. This ad appears on Delilah’s Dilemma and is basically a very strong endorsement by the show’s star, Delilah. In this case, using a celebrity worked since she punched the right message with soft humor and a bit of passion. The spot includes very soft music beneath the voice, which does not muddle the message. Delilah carries a lot of weight, which we can see with the Reputation score of 144. In summary, radio is potentially the strongest medium of all when creative is “sound.” Understanding which KPIs drive radio success is a great first step. Please read the eBook, “Four KPIs to Decrease Advertising Investment Risk and Build ROI,” for more information and case studies on optimizing your KPIs. Or, see our Creative Testing for ROI, ROAS and Predictive Analytics here. If you have questions or would like more data on your brand category, please contact Angela Jeffrey, Vice President Brand Management at ABX at angie@adbenchmark.com or 214-926-9794.